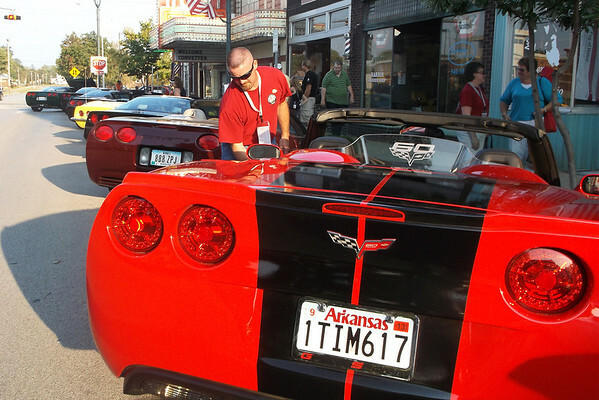 Downtown was rumbling with activity Thursday night at the Corvette Welcome Fest. Kevin Merrill, who is in town from Harrison, Ark. with his wife Lisa, wiped down their 2013 Grand Sport Convertible Corvette parked on Jefferson Avenue.